kt literary » Blog Archive » SOLD! Congratulations to Margaret Rogerson! SOLD! Congratulations to Margaret Rogerson! This week is the epic Bologna Children’s Book Fair – one of the most important trade shows of the year for international book deals. Right now, our colleagues and co-agents are busy selling translation rights to KT Literary books over gelato and coffee. Please help us congratulate New York Times bestselling author Margaret Rogerson on her sale for AN ENCHANTMENT OF RAVENS – coming in 2019 in Complex Chinese Characters! Complex Chinese Character rights to Margaret Rogerson’s debut AN ENCHANTMENT OF RAVENS, to Faces, by Meng-Ying Hseih at Bardon Chinese Media, on behalf of Sara Megibow of kt literary. 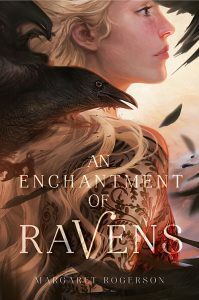 Publishers Weekly gave AN ENCHANTMENT OF RAVENS a starred review saying, “An ideal pick for fans of Holly Black, Maggie Stiefvater, and Laini Taylor.” We know international readers will agree! ← SOLD! Congratulations to John E. Stith!